The London Stock Exchange is a stock exchange located in the City of London in the United Kingdom. It's the fourth-largest stock exchange in the world and the largest in Europe. The Royal Exchange was founded by Thomas Gresham on the model of the Antwerp Bourse, as a stock exchange. It was opened by Elizabeth I in 1571. 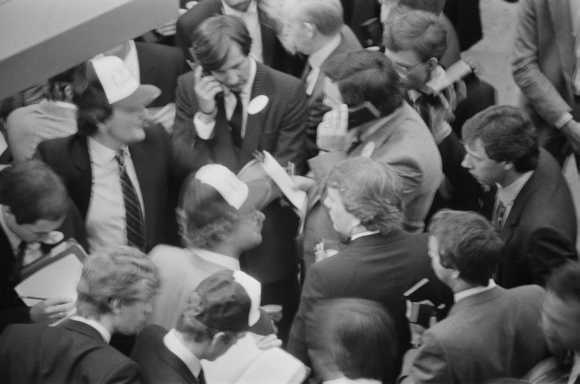 During the 17th century, stockbrokers were not allowed in the Royal Exchange due to their rude manners. They had to operate from other establishments in the vicinity, notably Jonathan's Coffee-House. 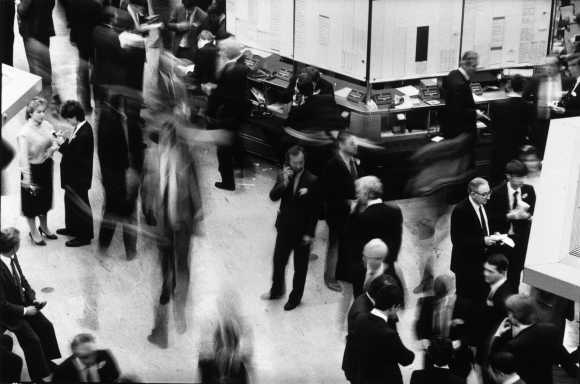 At that coffee house, a broker named John Casting started listing the prices of a few commodities, exchange rates and certain key provisions such as salt, coal and paper in 1698. Originally, this was not a daily list and was only published a few days of the week. As stocks grew, with new companies joining to raise capital, the royal court also raised some monies. 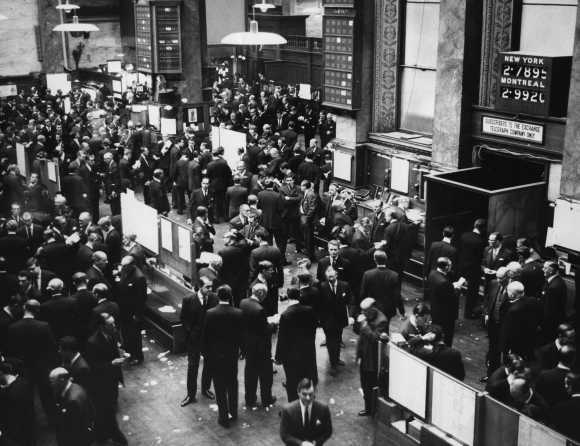 These are the earliest evidence of organised trading in marketable securities in London. 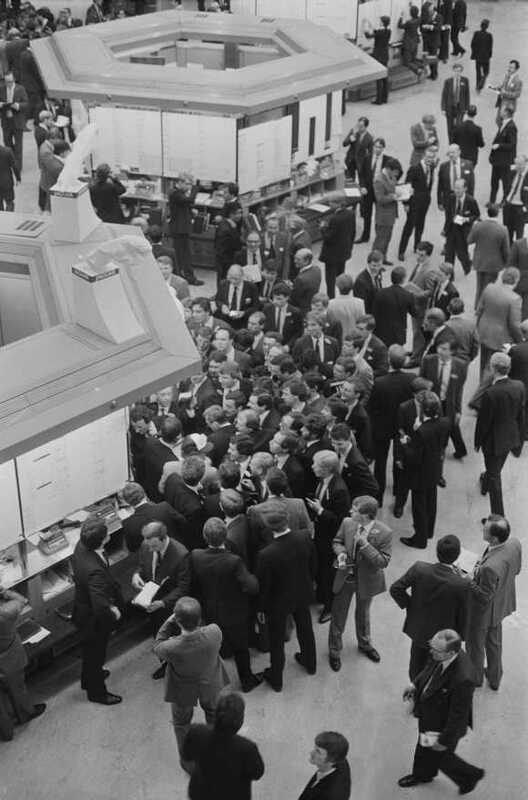 Let's take a look at some historic and iconic photos of the London Stock Exchange. Image: It was opened by Elizabeth I in 1571. 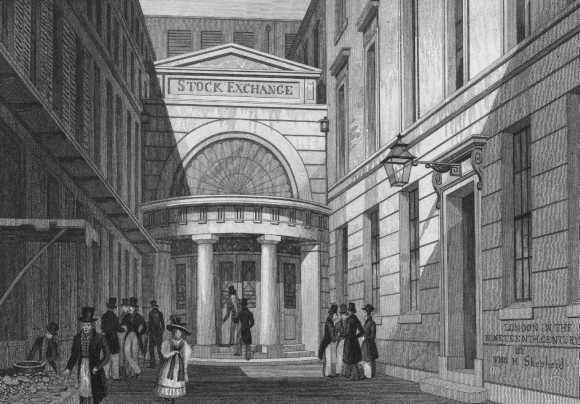 The London Stock Exchange from a drawing by Thomas H Shepherd, 1820. 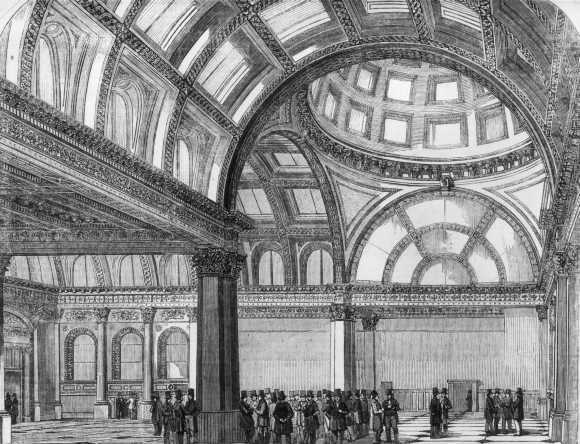 The London Stock Exchange, 1854. 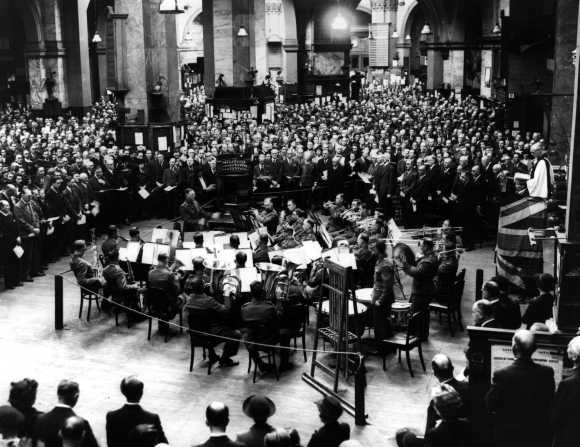 The Grenadier Guards band playing music in the London Stock Exchange, during the 'Service Of Thanksgiving For The Victory In Europe Of The Arms Of The United Nations', May 16, 1945. 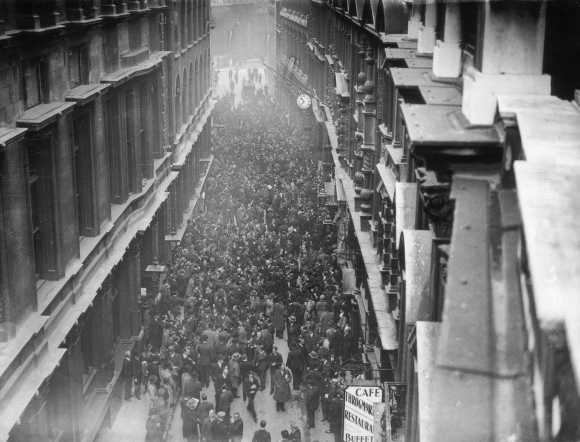 Aerial view looking down on the crowds gathered on Throgmorton Street, outside the London Stock Exchange, on the announcement that the Gold Standard had been suspended, in the City of London, 1931. 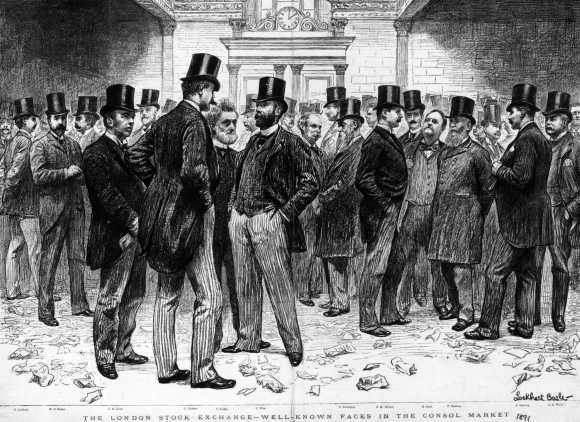 A crowd of notable Victorian gentlemen gathered in the London Stock Exchange. A life drawing by Lockhart Bogle. Original Publication: The Graphic - Well Known Faces In The Consol Market, 1891. K Forster, left, of the London Stock Exchange making a kerbside deal in gold shares with R Edsall, a South African dealer, April 18, 1946. 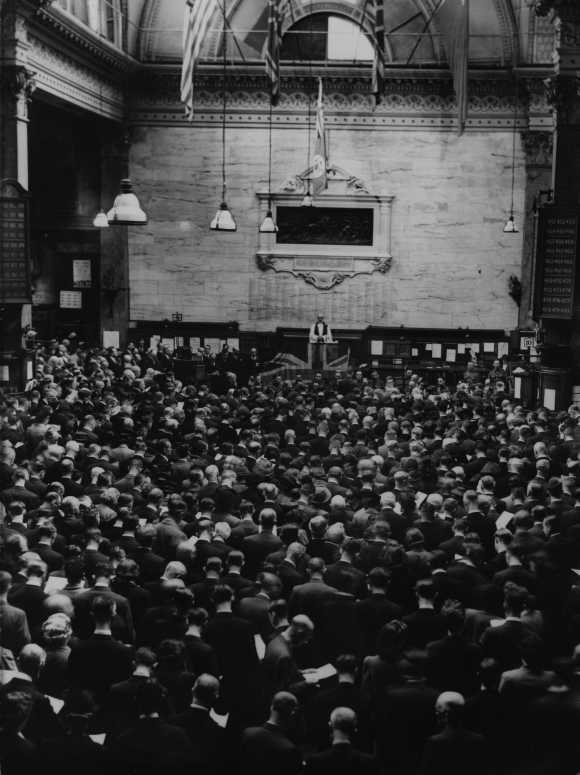 Work stops at the London Stock Exchange for the 'Service of Thanksgiving' for the Victory in Europe of the Arms of the United Nations.' Music was played by the Band of the Grenadier Guards, May 16, 1945. 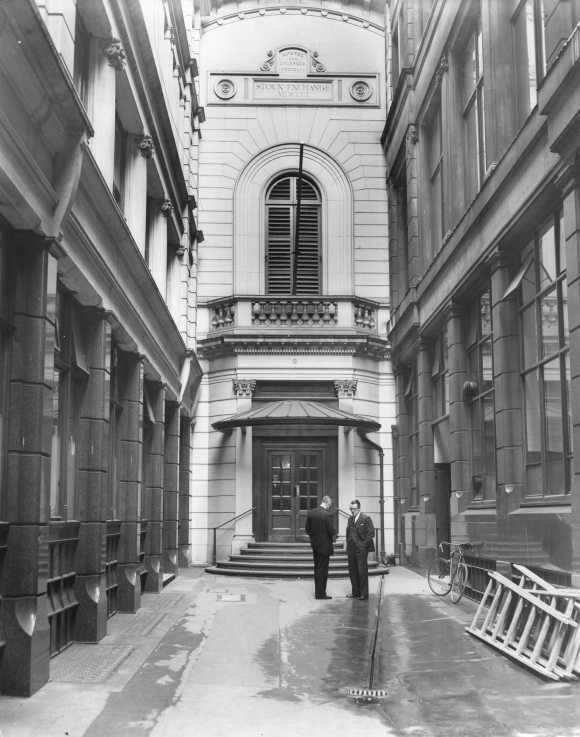 The top-hatted attendants of the London Stock Exchange stand in Capel Court outside the entrance to the Stock Exchange. 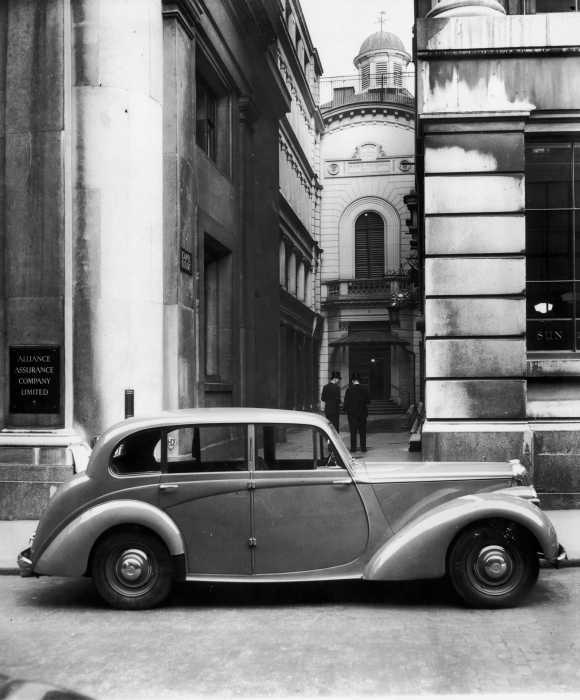 One of the stockbrokers' cars is in the foreground, November 1951. 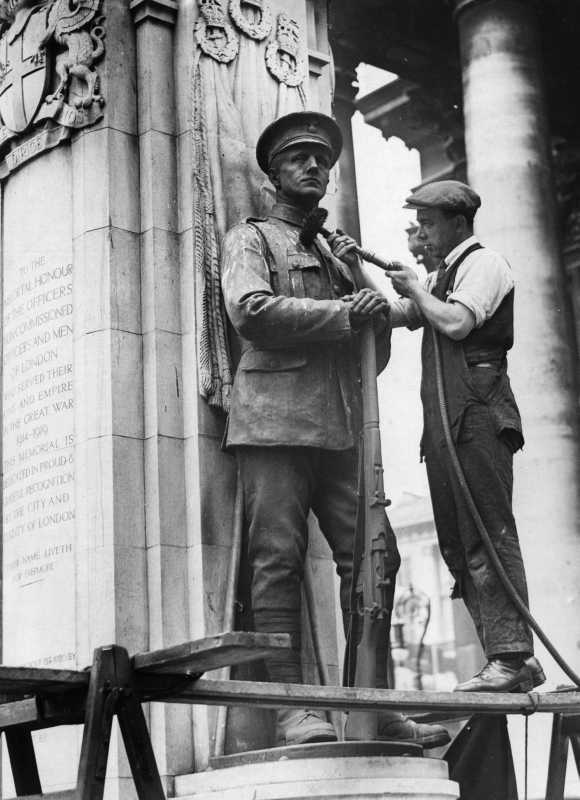 A worker uses a flexible drive to assist with the cleaning process of this war memorial outside the London Stock Exchange, 1948. 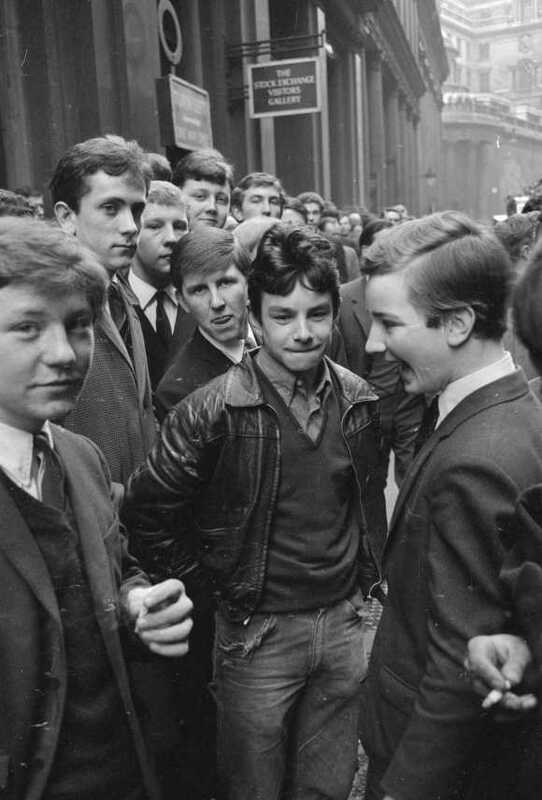 A teenage gang outside the London Stock Exchange visitors' gallery, March 12, 1963. 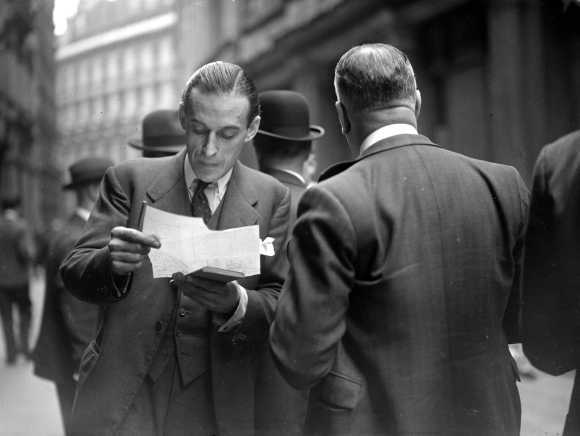 Two men stand outside the entrance to the London Stock Exchange, November 1951. 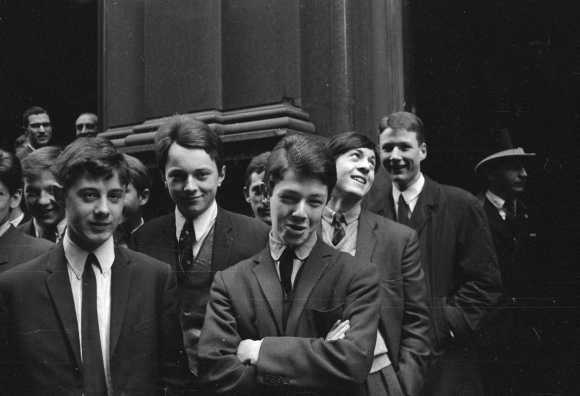 George Britton, John Hassell, Terence Young and Ray Clarke, members of a teenage gang outside the London Stock Exchange visitors' gallery, March 12, 1963. 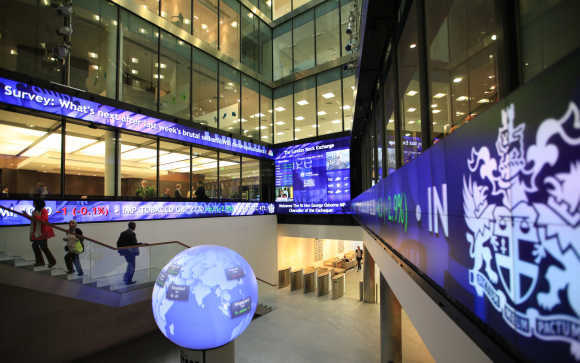 A view of the London Stock Exchange trading floor. On the right can be seen the American and Canadian exchange rates, November 23, 1964. 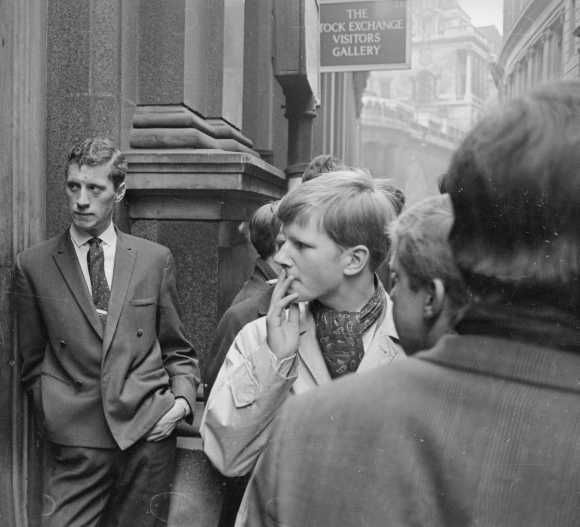 A teenage gang outside the London Stock Exchange, 1963. 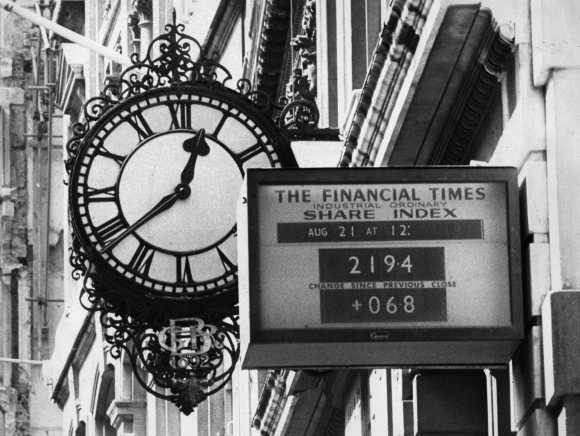 The London Stock Exchange's Financial Times Share Index board, 1965. 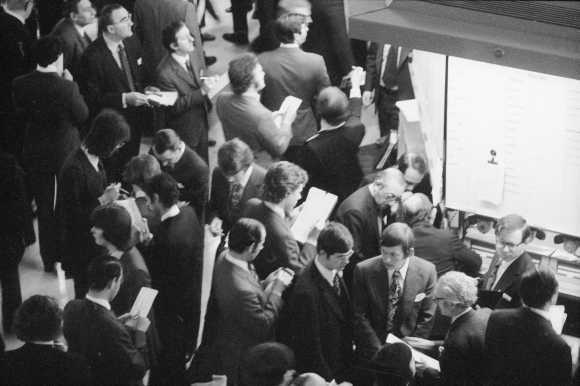 One of the first women to be admitted to the floor of the London Stock exchange, March 26, 1973. 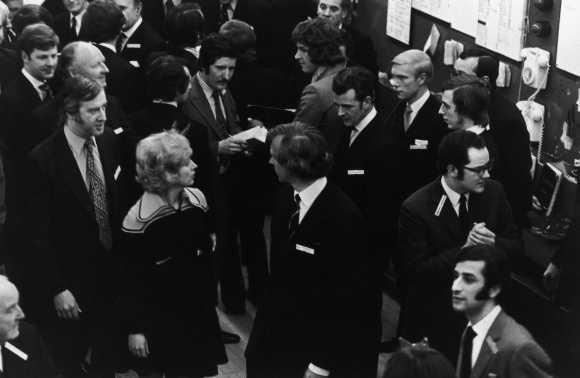 Women had been barred from the floor during trading hours since the exchange opened. 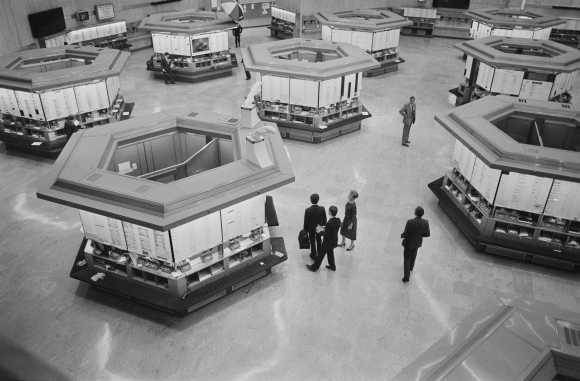 Trading floor of the London Stock Exchange, in the City of London, July 18, 1973. 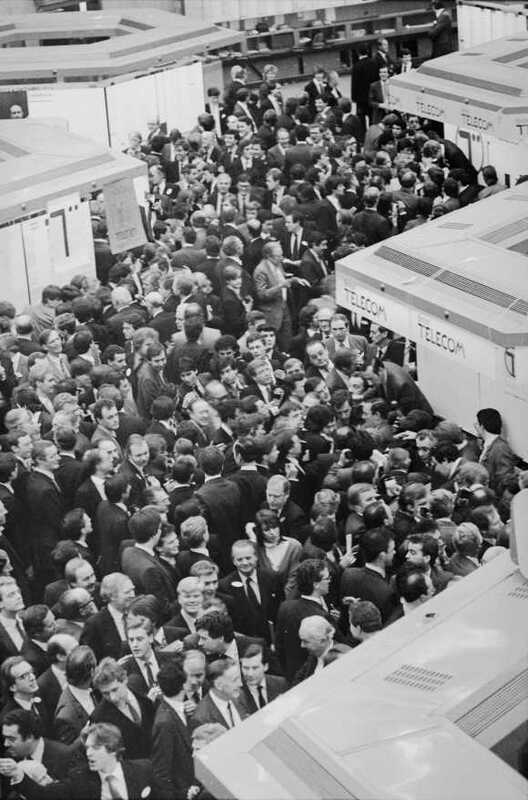 Trading in the London Stock Exchange, June 11, 1973. 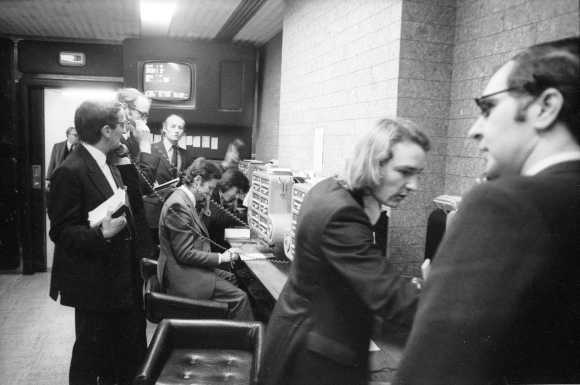 Traders on the telephones at the London Stock Exchange, 1974. 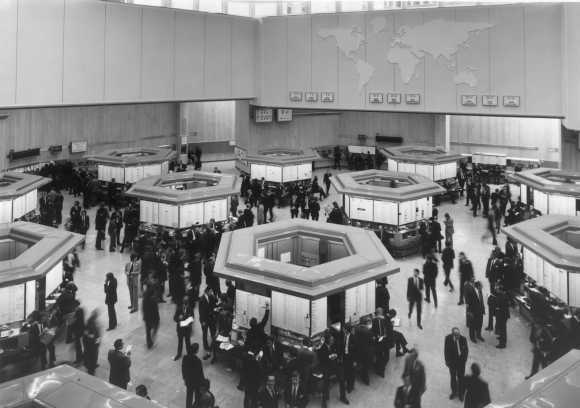 The London Stock Exchange trading floor, 1974. 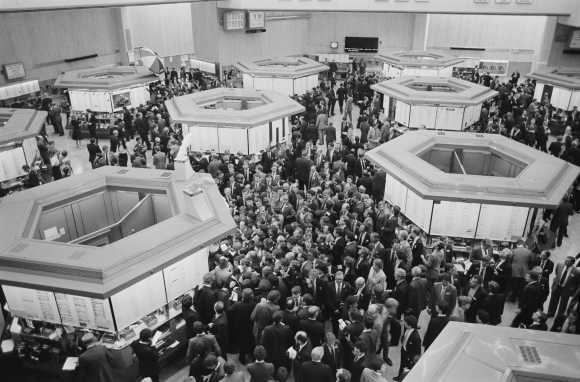 Inside the London Stock Exchange, August 10, 1984. 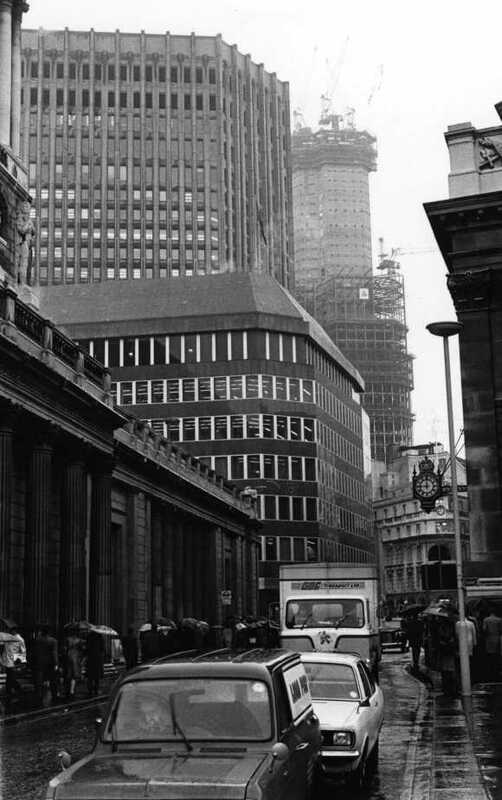 The exterior of the Bank of England, the London Stock Exchange, with the Nat West Tower under construction beyond, seen from Threadneedle Street, London, November 12, 1976. 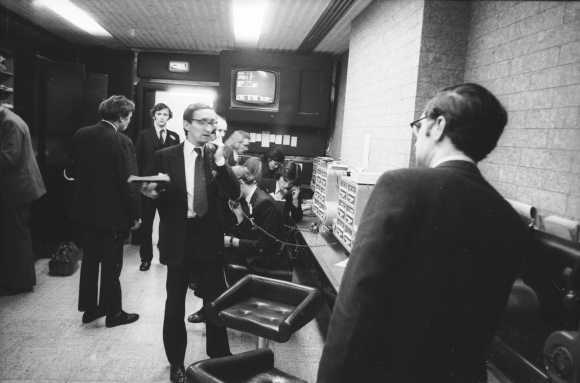 Trading at the London Stock Exchange after the privatisation of British Telecom, December 3, 1984. 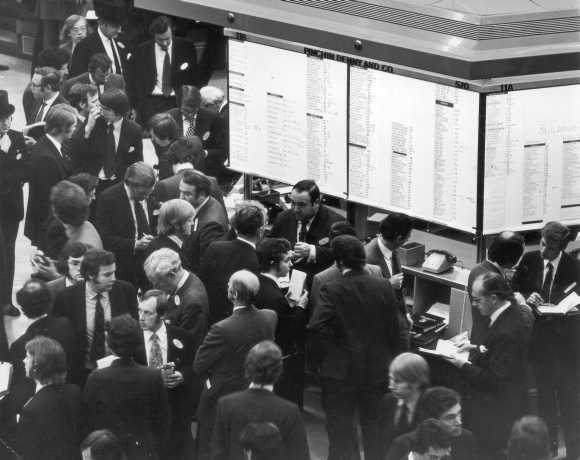 Busy traders at work on the trading floor of London's Stock Exchange, Threadneedle Street, 1990. 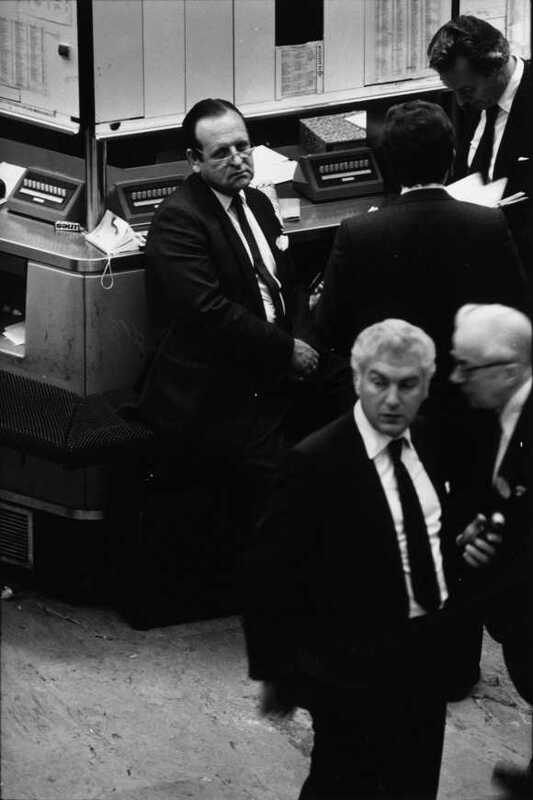 A tired trader working on the trading floor at London's Stock Exchange, Threadneedle Street, 1990.